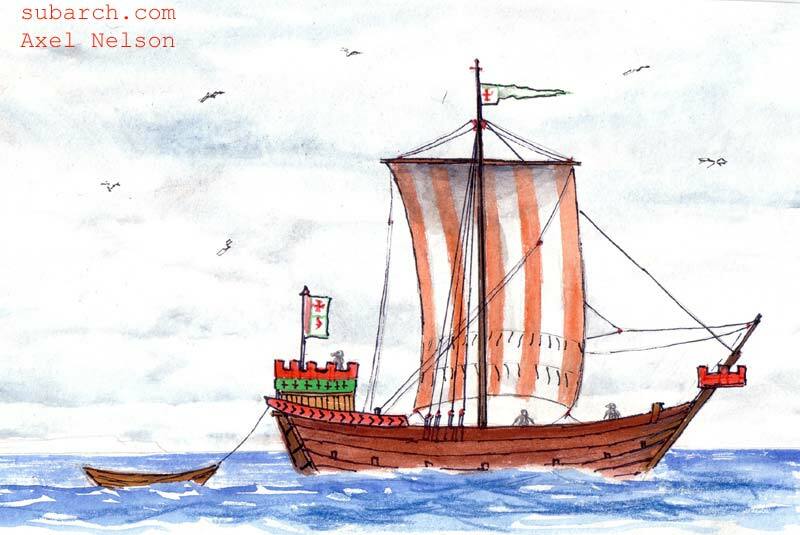 The cog was a wide spacious type of transport ship that through the Middle Ages gradually replaced the Viking age types in northern Europe. The first mention of a cog is from 948 AD in Muiden near Amsterdam. These early cogs probably used a steering oar (side rudder, quarter rudder). There is no evidence of a stern rudder in northern Europe until about 1240. Early cogs had open hulls and could be rowed short distances. 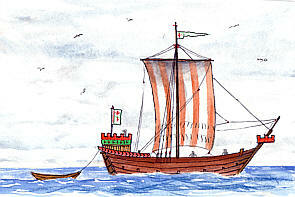 During the 13th century they became larger and received a deck, as well as a raised platform in the bow and stern. Exactly what cogs looked like is hard to tell. The best preserved cog is the Bremen cog, where the hull is preserved but not the rig. Besides that, we have to rely on contemporary images. 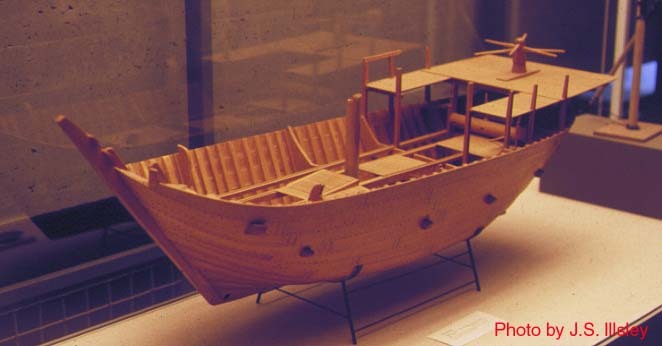 Clinker outer planking at the sides of the hull. Straight stem and sternpost, opposed to the rounded Viking stem. 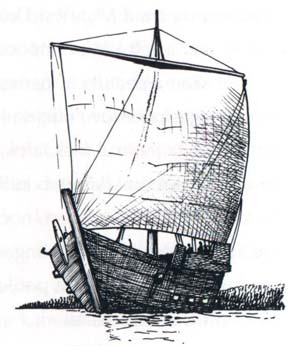 During the 14th century some of the cogs were constructed with a carvel hull, but clinker still dominated. Finally, around 1400 AD the cog had grown, developed and changed so much that it was a new shiptype, called the holk. 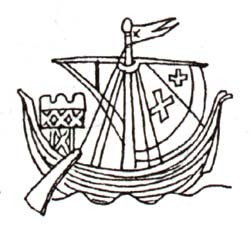 During the 15th century the holk developed and could have up to three masts. But that is a different story. A few modern replicas have been made.